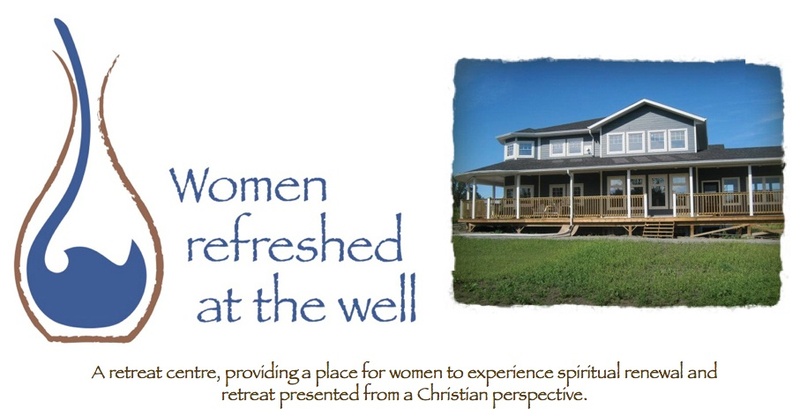 Women Refreshed at the Well: Unexpected gifts from God! Well ~ God works in mysterious ways and gives “gifts” to us from time to time. I love that. One of the unexpected gifts I have experienced lately is the interview I had with Angeline Schellenberg with Christian Week. Long story short ~ through Ashley (my daughter) working at the Canadian Conference office and talking about Women Refreshed at the Well ~ someone she works with told Angeline that perhaps it was an idea for a story for Christian Week. And, sure enough, Angeline and I met and talked. Okay, I talked. For two hours. Yep, it is such an exciting story!! I love talking about the Vision and what God has done since 2000. She seemed very interested in the story too. So, it will be in the September edition which will come out the last week in August. This, is a gift from God, and I am so thankful. I just continue to see how God’s heart just beats and beats for women! If only we all knew and lived in the love that he has for us ~ even though I KNOW it, so often I just forge on ahead without him. Not sure why! Guess it doesn’t matter whether we are women or men ~ we all often try to be self-sufficient. Anyhow ~ this conversation we had over coffee at Mountain Bean ~ it was a gift and Lord ~ I thank you for these unexpected surprises. Stay tuned ~ and watch for the September edition. Thank you Lord! One step closer!